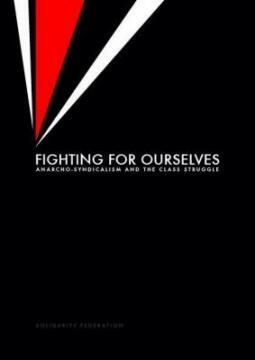 The Solidarity Federation's book, Fighting for ourselves: anarcho-syndicalism and the class struggle, aims to recover some of the lost history of the workers' movement, in order to set out a revolutionary strategy for the present conditions. In clear and accessible prose, the book sets out the anarcho-syndicalist criticisms of political parties and trade unions, engages with other radical traditions such as anarchism, syndicalism and dissident Marxisms, explains what anarcho-syndicalism was in the twentieth century, and how it's relevant - indeed, vital - for workers today. You can buy hard copies of Fighting for ourselves for £6 (including p&p) from Freedom Press (UK - £5 in the shop), and for $10+p&p from Thoughtcrime Ink Books (North America). For other countries please get in touch.